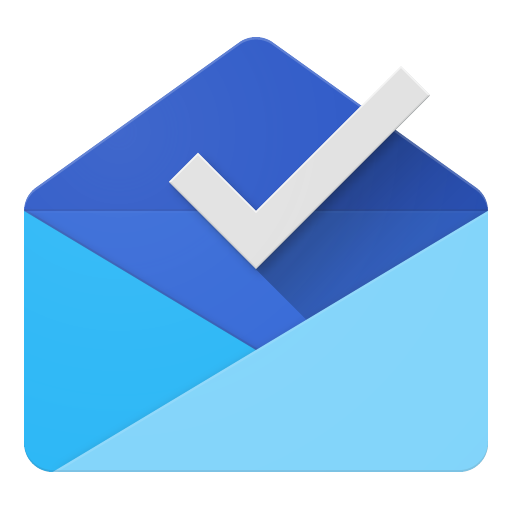 Inbox hasn't been around for that all that long, and Google is carefully improving and adding features to make it useful for the app's intended audience. With a fresh update to version 1.3, Inbox is receiving some improvements to its graphics and visual styling, and the ability to configure notification sounds by account. 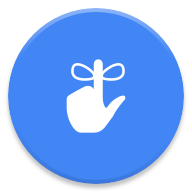 After a quick teardown, it also appears that there will soon be launcher shortcuts to launch immediately into creating a new task (i.e. Reminder) or composing a new message. The first thing most people will pick up on is that the navigation drawer now falls in line with Google's recommendations, and joins many other apps by extending all the way up to the top of the screen. 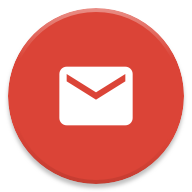 While you're taking a look at the screenshots, also pay attention to the icons for Done, Reminder, Settings, and even the pushpin for Inbox. All four have been very slightly tweaked to fit the Material style a little more closely. Not all of the modifications in this release are cosmetic. 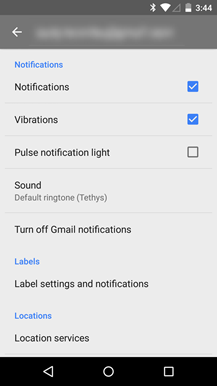 Inbox now allows users to change the notification sound that occurs when a new message rolls in. Best of all, different sounds can be configured for each account that Inbox has access to. Just go to Settings -> (account) -> Sound, and pick the one that suits you best. 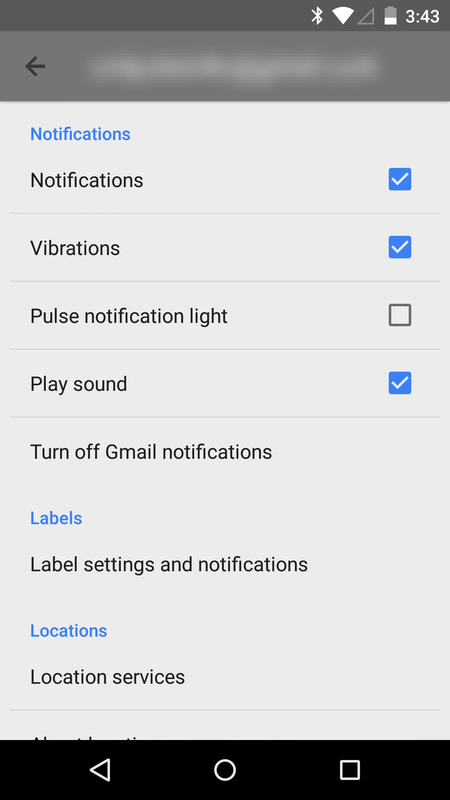 The previous version limited you to merely deciding if a sound should be played at all, but only played the default system notification rather than a user-configurable option. 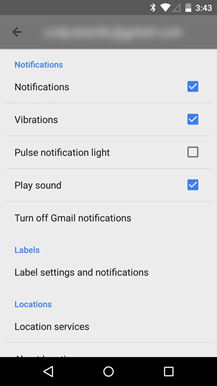 It seems Google is fully back into experimentation mode with new features and settings for all of its apps. Almost every time I crack open an apk, it turns up at least one or two good hints about upcoming features. This time around, we've got a couple of fairly simple, but certainly useful improvements on the horizon. This one almost needs no explanation. 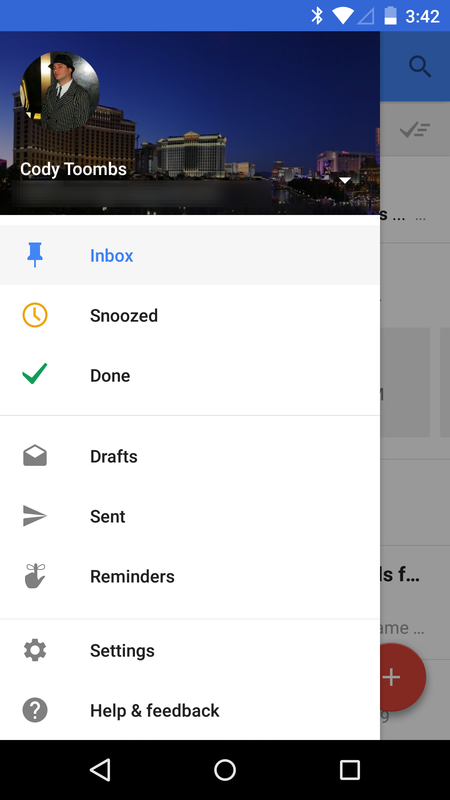 Regular Android users are accustomed to the idea of creating widgets and shortcuts on their homescreen, and Inbox will soon offer a couple of handy ways to jump directly into some parts of the app without first passing through the list of messages. There are two shortcuts in the works: one to open the Compose Message screen, and another to allow users to create a new reminder. 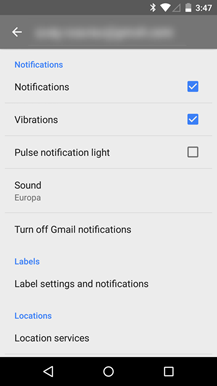 For regular users of Inbox, the second may seem strange since reminders are typically created from an existing message. It appears that Inbox will introduce the shortcut so users can have instant access to create a reminder with as little effort as possible. It's not that tough to snooze a message and have it return at a certain time or physical location. The problem comes when you have to snooze a lot of messages on a regular basis. 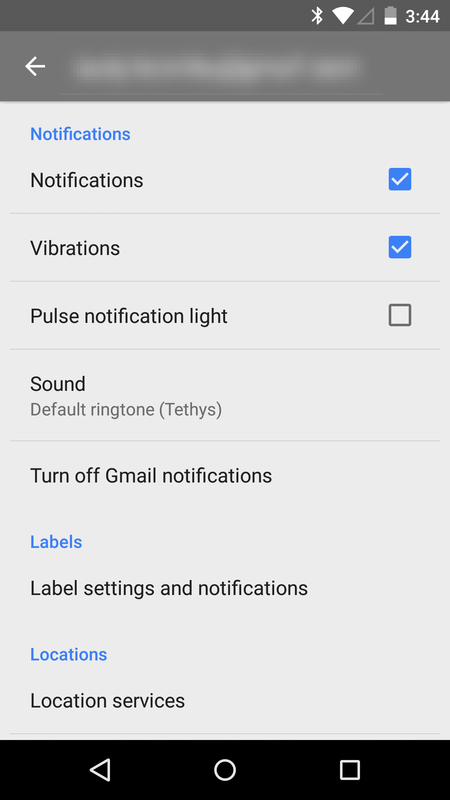 Setting a custom time can get incredibly repetitive, but it looks like Inbox will soon allow users to create custom presets and easily change the options as needed. The first piece of evidence is a new xml settings file named bt_snooze_preset_preferences. It's basically empty, right now, but the name clearly indicates that it will eventually play home to preset preferences. There are also a handful of new strings that point to some motion towards more configuration options. The most important string in this bundle suggests that the first preset will be oriented towards picking default times.